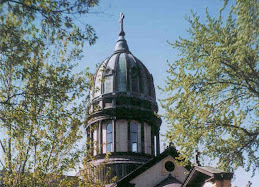 One Wednesday a year, either in February or March, our monastery chapel fills to the brim with monastics, college students and the local community to receive ashes; there's a palpable sense of energy in the chapel that has always piqued my interest. Why do folks – especially college students -- fill our chapel to be smudged on the forehead with ashes to mark the first day of Lent? Is it peer driven? Might be. 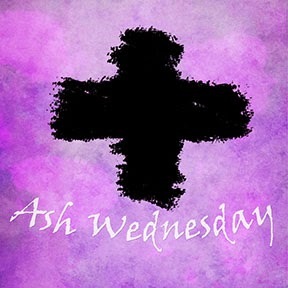 Or does it resonate deep within the soul of each person that Ash Wednesday marks a day to connect with who we are and who we can be? Each person places a sign of the cross made with ashes on another person’s forehead and offers one of these two phrases: “Remember that you are dust, and to dust you shall return,” or “Repent and believe in the gospel.” It is in the ashes that we remember our humanity and call to mind our mortality, something St. Benedict wanted his monks to do; as he states in the Rule "keep death daily before your eyes." It is also in the ashes that we confront the mistakes we have made and repent of sin. While this sounds a little fatalistic, it is not the end of the story for us because we have this innate faith that Lent will lead to Easter. One Wednesday every year we go to church to remember who we are and hopefully who we can be. Sending the masses of college students out into the world with their smudge of the cross on the forehead signifying this powerful message is a breath of inspiration and hope for the world and the Church. Let us continue to run the path set before us on this Lenten journey.